Thanks to the generosity of the Stewart Milne Group and its employees, communities across the UK have benefited from support, new communal green spaces, and charitable donations. 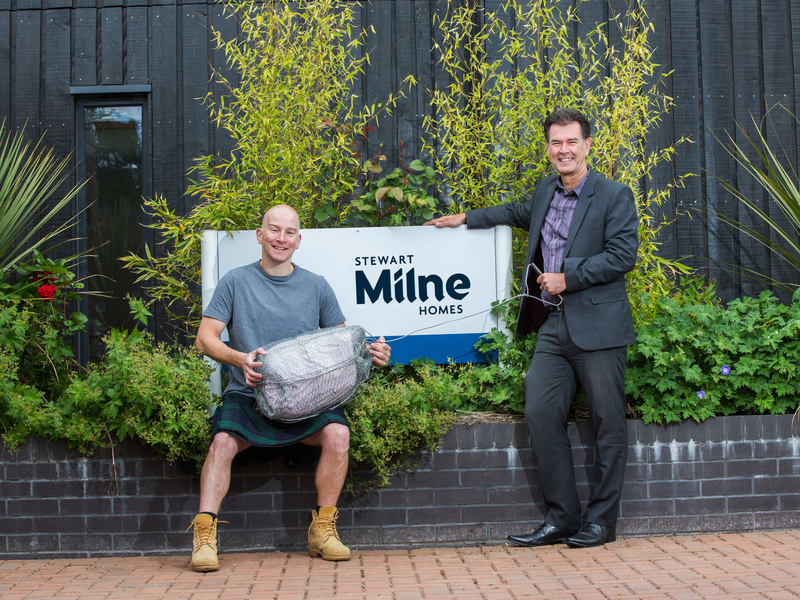 More than 20 organisations, charities and communities in which Stewart Milne Group operates have benefited from the outreach and volunteering campaigns led by the housebuilder and timbers systems manufacturer. Thousands of man-hours and over £100,000 has been directed into projects ranging from Christmas festivals, community gardens, and even building new homes in Kenya. This month, the team at Stewart Milne Group were ranked top of Social Bite’s fundraising table for the Sleep in the Park event. Stewart Milne, alongside colleagues from the group’s Aberdeen, Edinburgh and Glasgow offices, participated in the world’s largest sleep out in an effort to end homelessness in Scotland. Raising in excess of £20,000, Stewart Milne Group is ranked both in the top 10 individual and corporate fundraiser teams. Josh Littlejohn, co-founder of Social Bite, said: “I would like to extend a huge thank you to the team at Stewart Milne Group for taking part in Sleep in the Park, and I’m overwhelmed by their incredible fundraising effort. Returning to Kenya for the second year, a team of volunteers from Stewart Milne Group travelled to Iten with the Gathimba Edwards Foundation where they built four new homes for families who were previously living in unsafe conditions. In addition to their work in Kenya, the team raised over £8,000 through various events throughout the year. This year, Stewart Milne Group also raised an impressive £30,000 for Beatson Cancer Charity at its annual fundraising charity ball. This brings the total amount raised by the group for this charity over the last seven years to £200,000. In addition to these worthwhile causes, the group also raised significant donations for Mates in Mind – a construction charity which is dedicated to improving mental health in the industry – and Macmillan Cancer Support. The home builder and timber systems manufacturer has also invested time and money into local projects. Sponsoring the inaugural Alford Christmas Festival, which provided financial support towards the logistics of putting on the community organised event as well as Santa’s reindeer and the ice rink. The Greener Spaces, Better Places community initiative which provided time and money to transform communal, outdoor areas for the benefit of an entire community. This saw the creation of the Men’s Shed in Alford, a sensory garden for children with learning or emotional difficulties and a therapeutic community garden. Refurbishment of the exterior of Loirston Primary School in Cove. Pledging £8,000 to Robert Gordon University, creating an access scholarship as part of the Giving Tuesday campaign. Sponsoring the Stonehaven Fireballs until 2021. Stewart Milne, chairman of the group, said: “It’s fantastic to see that as a business, we’ve made a positive difference to individuals, to charities and to communities.